Well, looks like I'm getting back heavier into PC gaming. I just upgraded to an i7 rig and there are several PC titles that have my interest. My problem is my office is next to the kids bedroom and the master bedroom where my wife will be sleeping is just across the hall. I'm trying to decide what my best options are here for sound localization and VoIP. My onboard sound dumps some crazy RF interference on the headphone jack, so I'm installing an X-Fi Titanium that should be here any minute now. I was going to see if the CMSS 3D processing is worth a damn or if its the absolute dreck that I expect. Currently I have the Senn HD 280s but obviously there's no mic. The PC 350 seems to be comparable in sound to the 280s, with an attached mic, but that's getting close to the cost of the 595s I want to pick up for general audio listening. I'm also wondering if these 5.1 headphones are to the point where they're actually worth using, I know the GWJ consensus on them seems fairly high. So, what's my best setup to get quality sound, surround imaging, and voice communication? I saw that some GWJers (Thin_J and *Legion*) were using little desk puck mics but I'm concerned about broadcasting background noises (rampaging kids) even worse than I do now. I'm not adverse to a standalone mic, it's just my experience in the past hasn't been very favorable compared to a headset. [Edit] Ha! I setup my Presonus Firebox and A/B'ed it against my onboard audio pushing my HD 280s. The headphone amp on the onboard sound is horrid. The phones really open up and sound driven off the Firebox. Hopefully the X-Fi can push them as well. Just go to Thin_J's House of Cans where there are enough headphones to put one on sale every day of the year! Sorry, not aware of any regular headphone sales, though you could check massdrop - they frequently seem to have headphones on offer. I have some Sony headphones and the plastic/simili-leather stuff covering the headband has started falling apart. Don't know what I can do to completely remove that stuff and if it's possible to cover it with something again... does anybody know what I can do? You know the answer. It calls to you. You just have to let it in. Open your wallet. Buy. Or, as a great philosopher once said, "If you can't fix it, duct tape it." Yup, I'd be reaching for the duct tape. If you want to get real fancy, hot-glue a strip of felt to the side that's against your head. If it's just the pad that rests against your head that's falling apart, you can buy peel'n'stick replacement pads. I rescued a 15 year old pair of Sennheisers that way. It's a bit janky, but good enough for the backup pair of cans. If you end up at Thin J's House of Mechanical Keyboards, you're one building over. House of Cans is next door. My approach is to never get rid of a pair of headphones that still sound awesome and feel comfortable, appearance be damned. Get thee to a craft store and find some adhesive backed fabric to wrap around it. Maybe try cleaning off as much of the old stuff as possible before wrapping it. Might need to use a solvent to get that stuff off e.g. rubbing alcohol/GooGone. You know, or just go shopping. 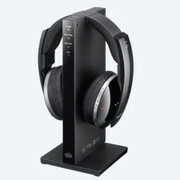 OKay, so here are the headphones I use now on my PC. Do any of you audiophiles out there know if it would be worth it for me to upgrade to something newer or are these still pretty decent by current standards? They work just fine, I'm just wondering if there are any significant quality upgrades out there I could be looking at. Take these jabs at me as a sign. To anyone asking the question "is this still perfectly satisfying and functioning thing I already own still good enough?" the answer is almost always yes. I have a pair of those Audiotechnica AD700's (because... of course I do) and they're still just as great as gaming cans today as they were when you bought them. Mine are paired with a modmic and I still use them regularly with my Xbox One. Unless you've grown to hate them for some meaningful reason just keep using what you have. Maybe replace the earpads if they get dingy and washing them doesn't clean them to your satisfaction, but otherwise... run'em till they break. Don't be me. That's just stupid. I just today replaced the earpads on my Sennheiser HD598's, I've had these for probably 6... maybe 7 years now. The replacements were 3rd party off Amazon, the fabric feels ok but the foam is definitely more firm. I have no idea how the earpads originally were though, they may have been this firm. Only reason I replaced them was because one side had started ripping. Also... the amount of crumbs that got in there is pretty surprising. Yikes. The headband is cracking as well, but meh. Best ~$150 or maybe even $200 I've spent on audio gear. Never spent that much on headphones previously, haven't since. They're comfy and sound good, and lasted so much longer than any other pair of headphones/earphones I've had. I used silicone self adhesive tape to keep the cracks in order and it has been working great for 2 1/2 years. In addition to holding the headphones together it provides some rigidity to prevent future cracking. I did clear but linked the black because it would probably look better. The headphones are probably close to 10 years old now. Thanks for the tip! It's not even actually the plastic part, it's the padding that has a crack or two. So no immediate danger of it falling apart just yet. I appreciate all the feedback and it's exactly what I needed. The reason I had asked about possibly replacing my headphones was because of the experience I had when I first bought them. For over 20 years I'd been fine with using $20 logitech headphones or the like and figured I wasn't some audio snob so what did it matter? Headphones were headphones as long as they didn't sound tinny. I eventually decided to try the Audio technicas because I'd seen them recommended on here and once I tried them on it was akin to how I felt the first day I got eye glasses. I had no idea what I'd been missing up to that point. I just wanted to make sure I wasn't missing some similar jump in experience since it's probably been close to 10 years or so since I even looked at headphones and I have no idea how quickly or slowly this kind of tech advances. I had no idea what I'd been missing up to that point. I just wanted to make sure I wasn't missing some similar jump in experience since it's probably been close to 10 years or so since I even looked at headphones and I have no idea how quickly or slowly this kind of tech advances. Diminishing returns sets in real quick with headphones and audio in general. I tried out a $15,000 (not a typo) pair of headphones that an acquaintance bought. Couldn't have picked them from my $300 Sony's in a blind test. 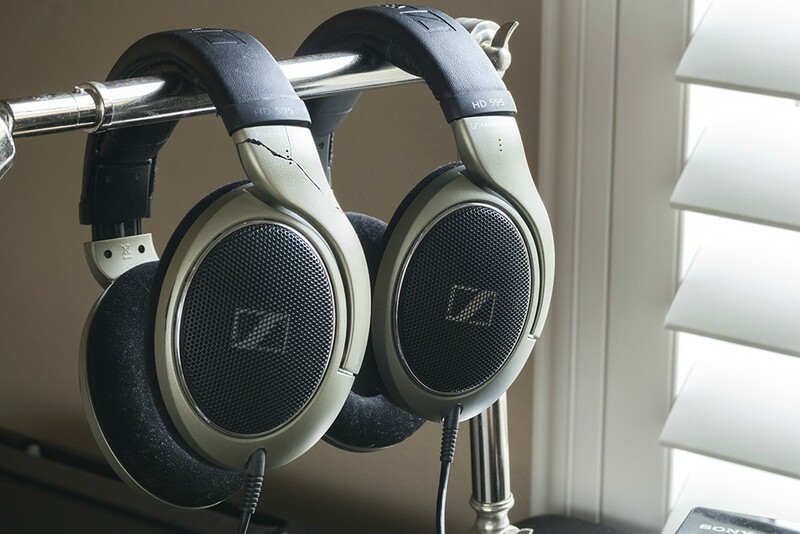 Yeah I listened to the then $1000 Sennheiser HD800's and.... didn't think they sounded appreciably better than any number of headphones I already owned or had heard at the time. IMO for headphones past like $300 there's barely any meaningful gains to be had. The best headphones are made from higher quality components so that they breathe better, last longer and don't make creaking / friction noises so that you don't have to stand completely still while using them. They will also look better most of the time. I mean, if freaking handbags can cost over a grand ... I think that with the most expensive headphones, a good chunk of what you pay for is mostly design, craftmanship, components (and a little luxury tax) right? 10 grand is a bit ludicrous though. but someone's gotta make something for them millionaires, right? I would have defended this stance years ago but I've found it weirdly and reliably untrue in my experience. I have two pairs of Fostex's that are doomed to multiple headband failures because they use a very specifically fragile design that Denon had the same issue with years before. I have fancy pants pair of planar magnetics that I'm blanking on the brand name for that will squeak fairly loudly if I don't use a toothpick to get a little bit of silicon lubricant into the hinges on the headband every year or so. And the only pair of headphones I have ever had to have repaired by the manufacturer within the warranty period is a pair of Sennheiser HD700's that was $450 and doesn't sound better (or even as good, TBH) than my older, significantly cheaper and seemingly much more survivable HD-650's that still look and feel like the day I bought them despite heavy use. The most heavily used headphones I have are my HD-650's, Beyerdynamic DT-990's, a pair of Philips Fidelio X2's, and a pair of heavily modded Fostex T50RP's. All are consistently holding up better than headphones that cost as much as $350 more than them. Diminishing returns man. Diminishing returns. At some point you're just throwing extra money at them because you can. IMO you can get whatever sound signature you prefer for $300 or less. Yeah I hear ya... with your accounts of cheaply-made-yet-expensive products I wonder, do you think that care for quality and durability went out the window recently or something? I haven't found a headphone I like better than my HD650s (6XX if you buy from massdrop) even though at this point I wouldn't feel bad about spending more money ... there just isn't an obvious upgrade with a similar warm sound with those slightly emphasised mids. Comfortable too, once the clamp eased a little. I have dabbled with planars but they don't have the same magic even if they are faster and have more extended bass. It's nice to have options though I suppose. Also, while we're on the subject ... why is it that manufacturers are so bad at stating the dimensions of their headphones even though you have to fit them on your head and (usually) over your ears? I've lost count of the number of pairs I've had to disregard because I have larger than average ears. It's maddening. I don't think it's necessarily "cheaply made" just so much as refusing to learn from past mistakes, either their own or those of other headphone makers. The materials themselves on most of the cans I have that have broken in one way or another are generally great. It's some weird basic design flaws that seems to get them more often than not. But they're clearly capable, as evidenced by the number of people with ~20 year old Sennheiser HD-600's that are still fine after just swapping on new ear pads every so often. For what it's worth, the Momentum and Momentum 2's should be solid. Most of the important frame parts are metal and don't appear to have any weird hinges or other strange design choices that might hurt durability. I haven't found a headphone I like better than my HD650s (6XX if you buy from massdrop) even though at this point I wouldn't feel bad about spending more money ... there just isn't an obvious upgrade with a similar warm sound with those slightly emphasised mids. They're just so smooth! I've never found another pair quite like them. I also got a pair of in-ear HD1's for work (also previously called Momentum) and the bass is ... just too damn much. I'm really annoyed by the worship of bass we see everywhere. I get that hip-hop is a big thing and I do enjoy a lot of bass from time to time but it seems like it's almost as if manufacturers believe the masses judge the quality of headphones by the amount of bass they can output and it's just wrong. They're wrong, the lot of them! Anyways ... I saw potential in them and wanted to keep them so I installed a 10 band equalizer (Peace APO) and the newfangled Sonarworks app on my work PC, the latter of which gave me a glimpse of the colouring they had analyzed of my earbuds. I managed to get them back to a somewhat ''normal'' sound by greatly reducing the bass and also the mids a little, sortof reversing the colouring back to a flatter value, reverting them back much closer to what they should sound like if they were more of a reference pair of earbuds. of course I`m not pretending that they are now but now that I've done this, I like them quite a lot. Does anyone have a solid pair of truly wireless (ala airpods) headphones that they can recommend? I'd like to use them for daily listening and while doing light exercise. I just got the new Samsung Galaxy buds and they are awesome. I had a "cheapy" $40 pair from Amazon before that would cut out when working out or running. The Samsungs just lasted an outside 8k, weaving in and out of snow bank, run without cutting out a single time. I also used them in my home gym with no cutouts. My only concern is they are just sweat resistant but I will need sweat proof come summer. The Jabra Elite Active 65t are the ones to get for sweatproofing but they are a bit pricier. They are pretty much unanimously recommended by review sites. I was looking at the Active 65t's and was hoping someone here had a set so I could get their impressions. Thanks for the input on the Samsung ones. I bought a pair of the Elite (non-active) 65t's for my girlfriend and she loves them. She says they never cut out at the gym, stay in place, and are really easy to use. The Actives should be the same but with more sweatproofing and fast charge. I have the Bose Soundsport. They sound incredible and the rubber tips keep them in pretty well (I do a decent amount of treadmill work). They feel like a beta product though, The left bud is tied to the right one- they do not link up like the air pods. Also, the left bud shuts off when you make a phone call. It is weird to make a call in mono. If all you do is listen to music, the Bose is a good choice but if you want to make calls, I’d wait for the next generation. I love my airpods, but I had to get earhoox for working out. Depending on how your ears are, getting them to stay in without assistance when you move around some can be a challenge. Just a public service announcement.